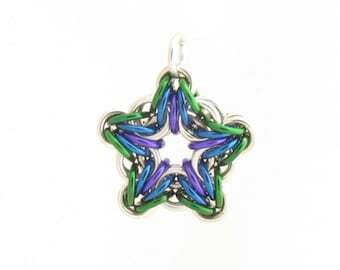 This listing is for a beautiful rainbow star pendant. 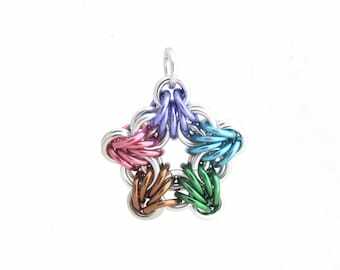 It is a bright and colorful multicolor piece of chain maille jewelry that will look great with just about everything! 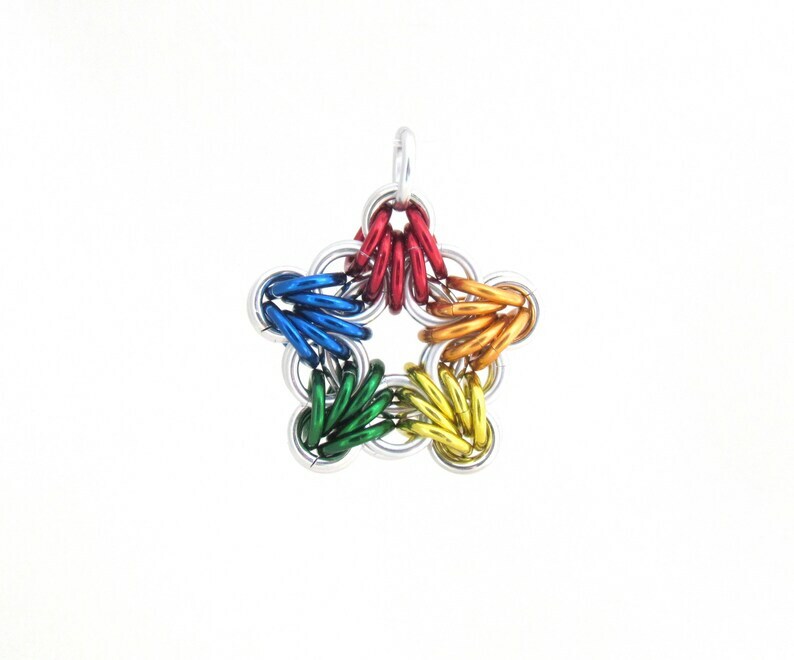 This chain maille pendant is made with bright aluminum jump rings, as well as anodized aluminum jump rings in red, orange, yellow, green, and blue. It is approximately 1 inch across and about 1 1/8 from top to bottom (including the ring used as a bail). 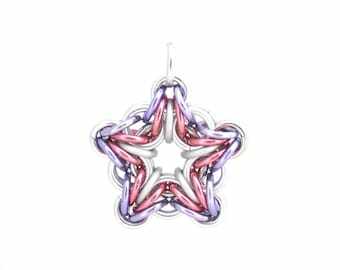 It is very lightweight and pretty! 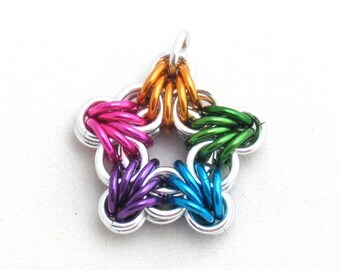 Take a look at the rest of my shop here!